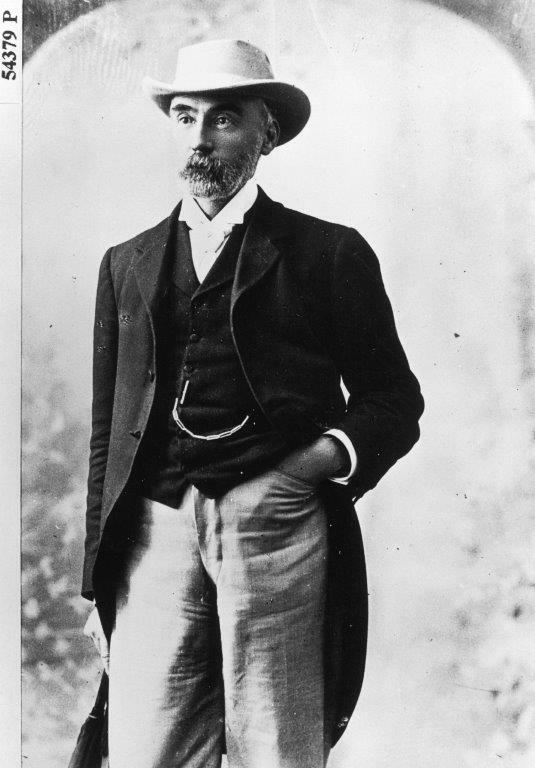 Many myths – from the place of his birth to the reason for his death- surround Charles Yelverton (CY) O’Connor who proposed ‘a pumping scheme’ to solve the shortage of freshwater in the Eastern Goldfields. CY O’Connor was not a New Zealander but was born in Ireland on 11 January 1843. The confusion arises because he spent 26 years working in New Zealand before coming to Western Australia in 1891 at the invitation of Premier John Forrest to be in charge of ‘Railways, harbours, everything’. 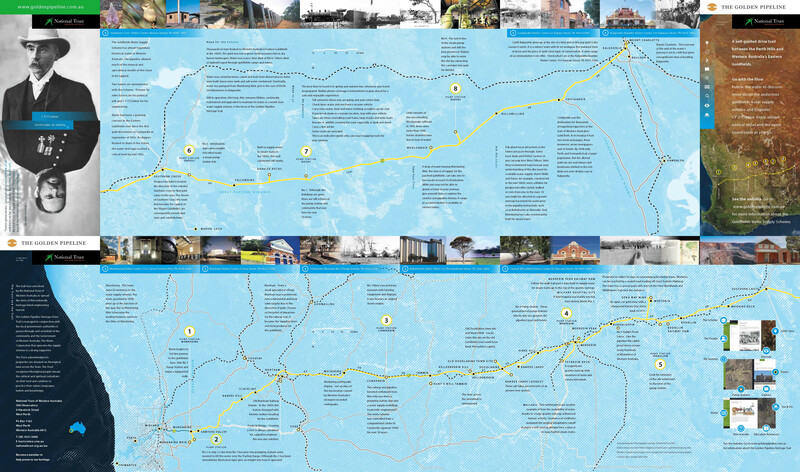 At this stage there was no thought of a water supply pipeline – gold was only discovered at Coolgardie a year after O’Connor’s arrival and in Kalgoorlie the year after that (1893). The Engineer-in-Chief’s first priority was a harbour at Fremantle to replace Albany as Western Australia’s chief port. He went against accepted wisdom, building it within the mouth of the Swan River. The discovery of gold in the Yilgarn (Southern Cross) in 1887 made railways a priority. CY O’Connor found a gentler gradient over the Darling Range for heavier and more frequent trains, incorporating a tunnel (now in John Forrest National Park). Then gold was discovered even further east ….Both the new harbour and the new route would prove invaluable for O’Connor’s next challenge. CY O’Connor killed himself with a shot to the head off South Beach, Fremantle, on March 10, 1902. On 24 January 1903, surrounded by local, State, and Federal dignitaries, Sir John Forrest officially opened the Goldfields Water Supply Scheme in Kalgoorlie, expressing his sadness O’Connor had not lived to receive the honour so justly due to him. The tragic death of the Chief Engineer of the Public Works Department, Charles Yelverton O’Connor, ten months before the Coolgardie Water Supply Scheme was completed, is well known. One urban myth is that O’Connor took his own life because when the pumps were started water did not flow. What is not well known is the real cause of his untimely death. From the scheme’s conception many parliamentarians strongly opposed the scheme for a number of reasons, such as the high cost and predicted impracticability. While Sir John Forrest was Premier he was able to shield O’Connor in parliament from these criticisms and the many false accusations of mismanagement made under parliamentary privilege. However when he resigned in 1901 to become a Western Australian representative in the Federal Parliament his successor did not have the same confidence and trust in O’Connor and he agreed to a Royal Commission to be set up in early 1902 to enquire into the accusations of mismanagement and further false allegations, such as the one published by the Sunday Times that O’Connor was corrupt. O’Connor was quite content to ignore accusations of his technical competence because he knew his engineering judgement was sound but was very hurt by the suggestions that he was dishonest. Coupled with his knowledge that several of the Royal Commissioners were opponents of the scheme (and thus he was unlikely to get a fair hearing) and his current poor health as a result of overwork, he took his own life on March 10, 1902, five days after the Royal Commission began taking evidence and three weeks before No 1 pump station began operating.